So you have been rocking your baby for an hour, then lay her down, and your baby cries when put down to sleep. Sound familiar? Many parents think that if their baby cries it’s a bad thing. The guilt associated with it leaves parents wondering what they’re doing wrong. But let’s not forget that a baby crying is the only way they know how to communicate. So, it’s not a bad thing! Of course, it can be a little difficult to hear at times, but it’s perfectly normal. A baby just wants to be comforted, cuddled and feel safe and secure. After all, they did just spend the last 9 months inside a warm cozy womb, protected in their little cocoon, hearing the gentle soothing rhythm of mommy’s heartbeat. Why does my baby cry when I put them down to sleep? 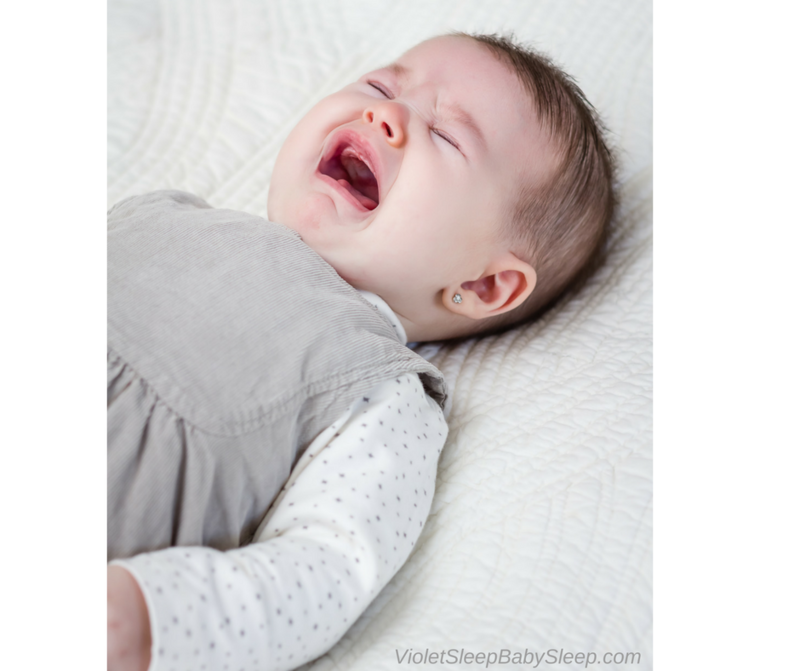 You may be asking yourself, “why does my baby cry when I put them down to sleep? I guarantee that there isn’t anything sinister about it. Your baby isn’t out to play mean tricks on you. Although it does sometimes feel that way when desperate attempts to put them to sleep are just not working. It’s a game of survival for her. She just came from a place where she never felt cold, hungry, or needed a diaper change. She was in the perfect environment where everything was provided for her. There was no struggle with going to sleep as she’d just nod off whenever she was tired. This new world outside of the womb is huge for babies! Now they need to communicate their needs through crying. So, when it comes to bedtime, babies cry because they want to be put to sleep so if you are rocking and that doesn’t put your baby into full sleep, she will cry. The older she gets the longer you may find yourself rocking her, as it only gets more difficult to reach that level of serenity she is looking for to fall asleep. So what can you do? 1.Teach your baby to fall asleep on their own! This is SO important. When a baby is allowed to fall asleep on their own, this eliminates the need to rock for hours just to have your baby wake shortly after or even during the transfer. Unless of course you enjoy this. But if you are struggling and dreading bedtime, teaching your baby to fall asleep on her own is key! 2. Don’t put your baby down too soon. Chances are you may have put them down too soon and they feel like they haven’t had enough cuddle time. Take the time to enjoy all the cuddle time you can with your baby as they are some of the most special moments in life that go by way too quickly. 3. Create a good sleep environment. Making sure the room is dark, quiet, and that your baby is warm and comfortable makes them feel safe, and provides them with the sleep environment they need to fall asleep without crying. You can play some soft music and diffuse a few soothing essential oils such as lavender or chamomile. 4. Develop a bedtime routine. As adults, we love a bedtime routine, chances are your baby does too. This means having a warm relaxing bath, story time, followed by a few cuddles and a bedtime song. It sets the scene for sweet sleep. 5. Put your baby to sleep drowsy but awake. You don’t want to hold your baby too long as they’ll only wake up as soon as you put them down. Give them just the right amount of time in your arms to make them feel safe and drowsy before gently placing them in the comfort of their bed where they can settle into a deep sleep. 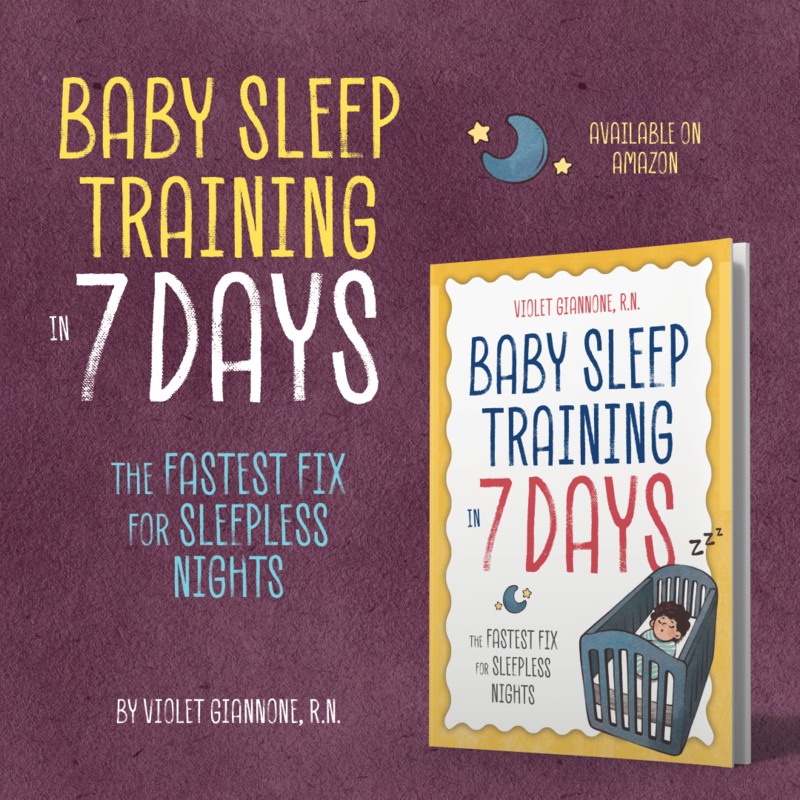 You’re not alone when it comes to the struggles of putting baby to sleep easily and coping with all the sleepless nights. Most parents face this common issue and is a #1 concern for most mothers. The body needs sleep not only to function properly but to grow and repair. This applies to both mommy and baby. Exhausted parents – and babies, don’t make for a very happy household, and this is why it’s important to develop a good sleep schedule. If your baby cries when put down to sleep chances are he/she just needs to learn independent sleep. If you feel you need some expert advice, I’ve created some helpful sleep-training packages just for you. You can expect a tailor-made program designed specifically for your little one, taking out all the guesswork, allowing you more time to play and enjoy your little baby. Get tips. Ask questions. Connect. How Do I Teach My Baby to Self Soothe? When Can Babies Fall Asleep on Their Own? When Do Babies Sleep Through the Night? When Should I Start Sleep Training? This package is a good fit for all ages, newborn to toddlers. This package includes a complete assessment of your child's sleep troubles. 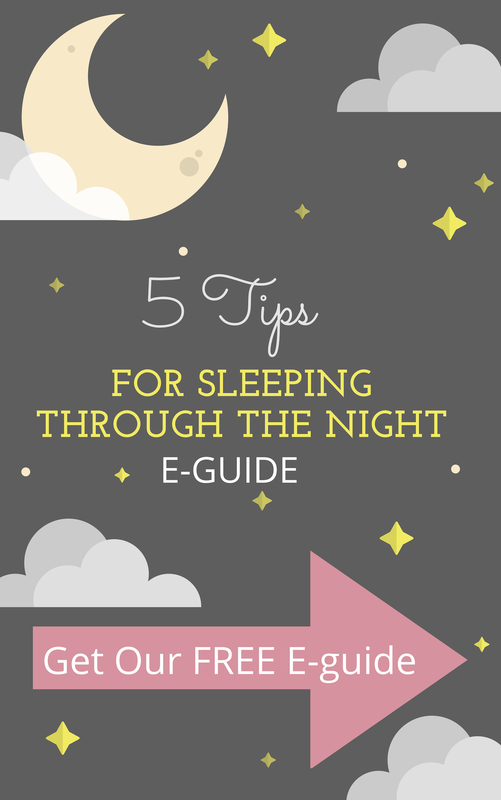 A personalized step by step sleep plan. Unlimited email and text message support. Two phone calls per week. Two follow up emails for ongoing support. Survival guide for bumps in the road. This package is a great option for parents that want a slow, gradual, and gentle process, and don't mind waiting to achieve results. This package includes a personalized sleep plan and 3 weeks of unlimited email support. Survival guide for bumps in the road. As with the other packages you will receive a personalized sleep plan that is created based on your baby's age, temperament, sleep history and other important factors. With 2 weeks of unlimited email support and survival guide for bumps in the road.I will be an email away to answer all of your questions. 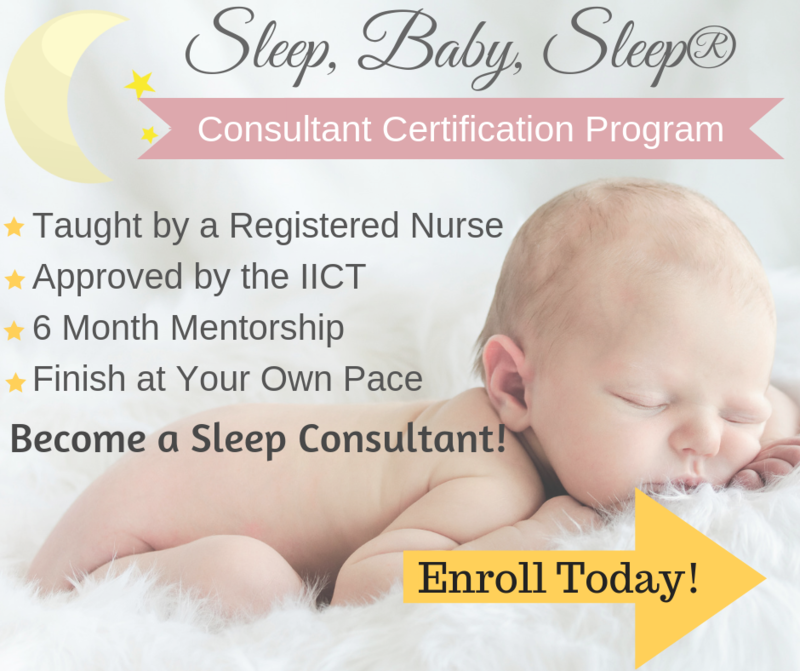 Complete assessment and identification of your child's sleep needs and troubles. Personalized sleep plan specific for your baby. One week of unlimited email support for a fully personalized consultation. Survival guide for bumps in the road. Complete assessment of your child's sleep needs. 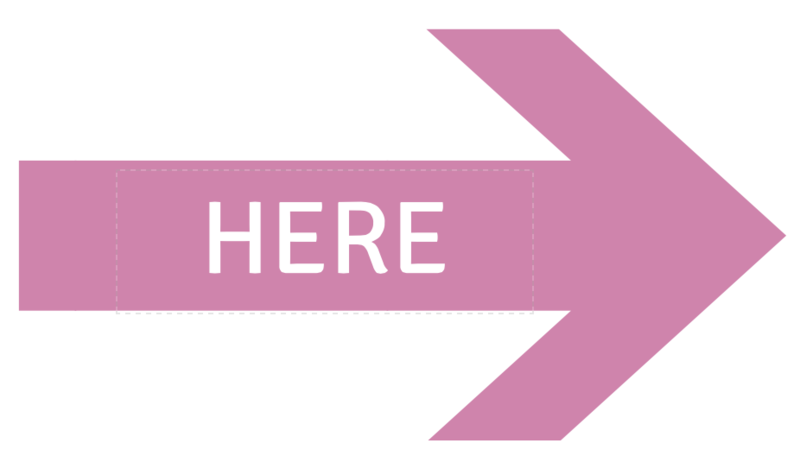 Personalized step by step sleep plan created specifically for your baby. In addition to the sleep plan you will get two additional follow-up emails for questions, support, or to fine tune your sleep plan. Survival guide for bumps in the road. This is a basic chat session package and is appropriate for parents that don't require that much help, but still have a few issues they are struggling with. This is a 45 minute online chat session. You will also receive a full transcript of the chat. Disclaimer: This website does not provide medical advice. Always seek the advice of your physician or other qualified health provider with any questions you may have regarding a medical condition or the health and welfare of your child.